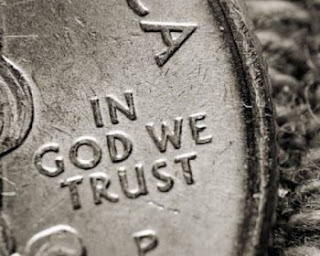 The Life and Times of Anna: In God we Trust... Or do we???? In God we Trust... Or do we???? Ooooohhhh! I cant wait till elections are over. Many of us get so caught up in politics and who we are rooting for and we get so attached that we forget no matter who wins Jesus is still on the throne. So many people are worried about what is going to happen. Don't worry God has it all under control! I am not worried about this election because I know that Jesus has my life in his hands and I can rest assured that he will take care of me. So may the best man win and don't forget that God is in control. :) But that is no excuse for not voting. Get out there and VOTE! and even if the best man didn't win...God is still in control. Politics bring out the competition in us. Though, there are some serious issues on the ballots this year, as you've seen on the C&C site. 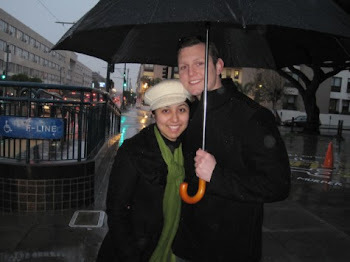 They have a major affect on us, and particularly us that will be raising children in the next 20 years. Yes Anna, God is truly in charge and on the throne. Although there is a possibility that the best man won't win, I do have hope that God is in control. We may be heading into the "end time"... and it may be in His will that the time has come. Its exciting and scary at the same time. I know no matter what that He is coming back so soon. I am gonna add your blog to my list of fun places to visit. I so enjoy reading your blog.